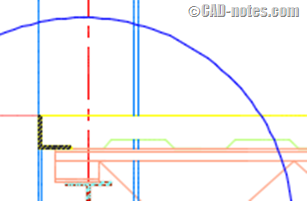 Let’s continue exploring AutoCAD 2015 new features. Last week, we covered the interface. Interface changes are obvious. This time we will cover enhancements that less obvious: what’s been changed in the system. AutoCAD 2015 has the same hardware requirements as AutoCAD 2014. But there are some changes in operating system support. As you can see below, AutoCAD 2015 is the first release that supports Windows 8.1. And no more XP support. Check the complete AutoCAD 2015 system requirements here. 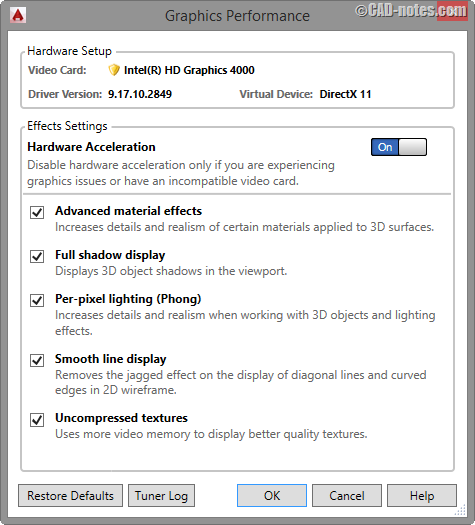 If you open the graphic performance in AutoCAD 2015, you will see simplified performance tuner. It’s now called graphic performance. The new option that is added here is smooth line display. Smooth line display will activate anti aliasing when you work in 2D wireframe visual styles. See the difference in the example below. 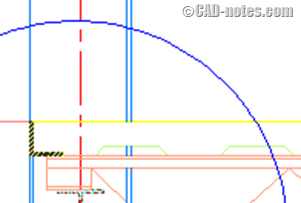 In AutoCAD 2014 we have a bug when working with DWG files from MicroStation. The DGN linetype can make your drawing very large, up to hundreds of MB even if you only have several lines in the drawing. There is already a hotfix for it. And the bug is fixed in AutoCAD 2015. 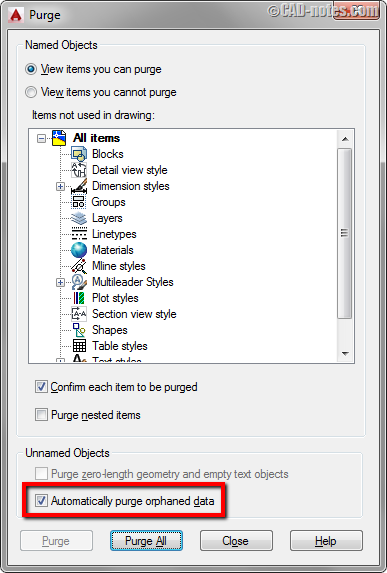 In AutoCAD 2015, we have option to purge orphaned data. This includes the orphaned DGN linetype. You can read more about the enhanced purge command here. 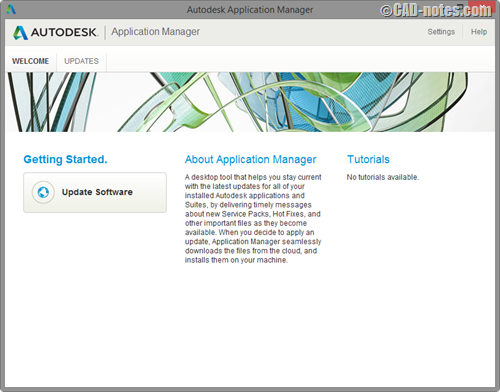 When you install any Autodesk 2015 software, you will also get application manager installed. Autodesk application manager is similar to communication center, but it works outside of the application. And it works for all Autodesk software. You don’t need to open AutoCAD to get notified when there’s an update. The notification will pop up at the right side of Windows taskbar. When you click the notification or open application manager, a window will open. You can choose which updates to install here. The online help also get an enhancement. Try to open a command help page, the one with (command) after the command name. You will see “find” link next to the icon. If you click it, it will show you the command button location. This is a good idea and can help new users or introducing new command. However, I find that it doesn’t work at all on my laptop. It keeps saying a window is blocking the command button. Probably because the screen resolution. But it definitely needs to be fixed. 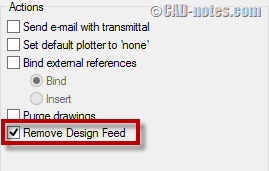 Design Feed was added in AutoCAD 2014. This is a nice feature for collaboration. You can comment, associate your comment to an area or a point, and you can attach an image. What people don’t like is, we must save it to Autodesk 360 before we can use Design Feed. 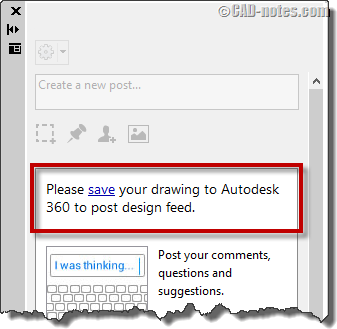 In AutoCAD 2015, you can use Design Feed without saving it to Autodesk 360. It means you can save the file in server, and the others can open and access the Design Feed. It also means if you send the DWG file, people outside your company can see the Design Feed. If you want to remove the Design Feed, you need to save the file as different name. In save as dialog, make sure the “copy Design Feed from previous version” is unchecked. If you want to remove design feed data from multiple files, you can use e-Transmit. In transmittal setup, modify the setup and check “Remove Design Feed”. It’s about time for Windows 8.1. support. And end of XP support is predictable. I don’t see much value for smooth line display, but probably it’s just because I’m an old timer. The help file could be better. It doesn’t work at all on my laptop, but it may be working nicely on your computer. The Design Feed is promising. I wish it also works for referenced files. It will allows people to work on a project concurrently. What about you? Is there any new feature here that you’ve been waiting for?